Land based casino and gambling powerhouse Caesars has teamed with online fantasy football/sportsbook company DraftKings. The deal was announced earlier today. This seems to be a great deal for both companies in that Caesars is already set up in 13 states as well as one city in Canada. DraftKings has recently set up online sports betting in New Jersey, Mississippi and West Virginia. They will be in Pennsylvania and Nevada in short time. Now, by teaming with Caesars they can expand to more states and at the same time Caesars solves their online presence issue. The move was a no-brainer for Caesars who has been recovering from a chapter 11 bankruptcy filed in 2015. They definitely did not want to spend the capital to roll-out new online operations. Maybe this will be the key piece to the puzzle of how they will fully rebound from their bankruptcy. Voices in the industry have predicted a full collapse by Caesars in 2020. This recent move makes that prognostication less likely. 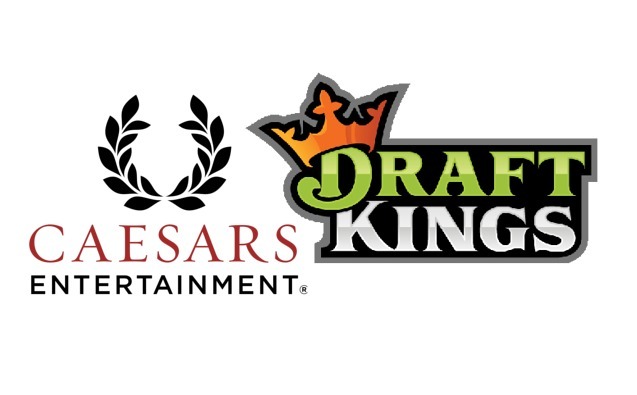 DraftKings can move into Caesars’ states and use their existing connections and licensing to set up shop, making it go much smoother than if they went at it alone. This really is a massive deal and a leap toward the ultimate end game, which is online sports betting in all fifty US states.